We deliver solutions in the public policy arena. With a focus on patient access, innovation and economic growth, the Medical Alley Association delivers the education, information, proposals and solutions that drive public policy changes in Minnesota and Washington, DC. Last Friday, President Trump signed the FDA Reauthorization Act of 2017 (FDARA) into law. Previously, the bill had passed through the U.S House and Senate with near unanimous support from both sides of the aisle. Prior to its signing, the Trump administration had indicated that the president would be seeking to have the entirety of FDARA funded by user fees. However, the fees agreement had already been negotiated between the FDA and the industry, leaving little room for negotiation in the final bill prior to signing. Reauthorization of the FDA’s user fee program includes the Medical Device User Fees Agreement (MDUFA) as well as the Prescription Drug User Fee Act (PDUFA). FDARA will also improve the FDA’s ability to recruit, hire, and retain scientific staff allowing for a more streamlined and efficient path to market for our member companies. 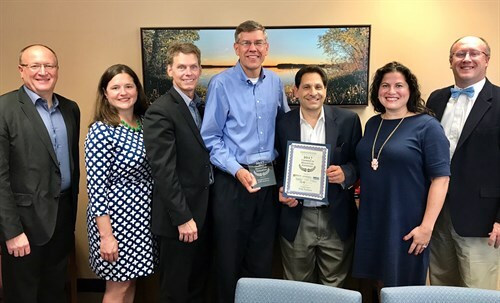 Medical Alley participated in an awards ceremony recognizing Congressman Erik Paulsen for his leadership in Congress on improving the path to innovation. Paulsen has played a key role in ushering the FDA user fee legislation through the legislative process as well as having been a leading voice on many elements of the 21st Century Cures Act which passed late in 2016. Both initiatives were crucial in helping to ensure patients have timely access to safe and effective therapies. 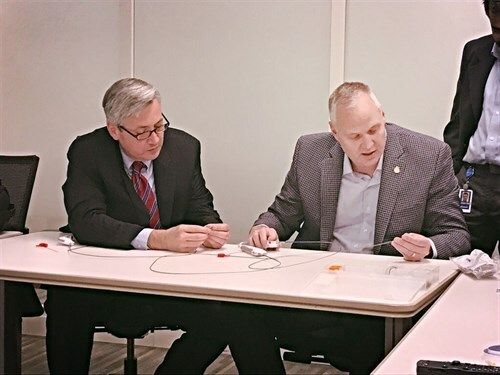 During session and in the interim, our government relations team strives to foster relationships between MAA members and the elected officials who represent them at the Capitol. One of the ways that we do this through site visits and tours, which allow MAA members to showcase their work and advancements in their industry to legislators! Legislators gain invaluable insight into the groundbreaking work that is being done in their districts, and MAA members receive an opportunity for receive recognition for their work! MAA members who are interested in hosting a tour at their facility should e-mail Lilly Melander, our Government Relations Manager, at lmelander@medicalalley.org. State Senator Paul Anderson tours the Medtronic APV in Plymouth. U.S. 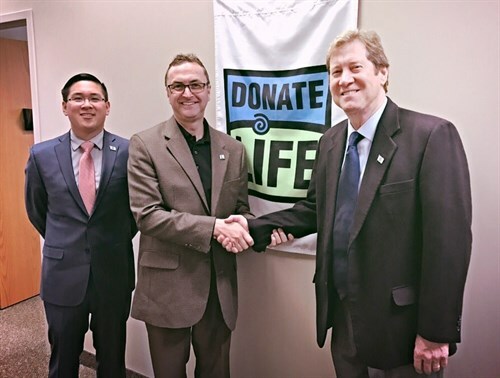 Congressman Jason Lewis tours American Donor Services in Cottage Grove. U.S. 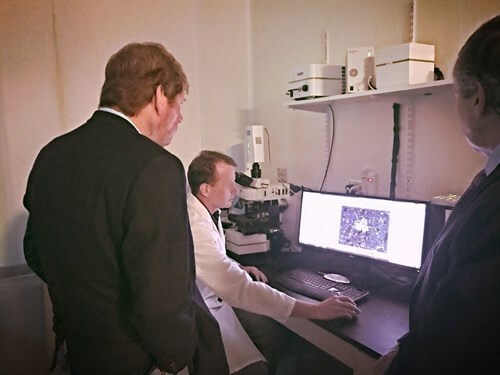 Congressman Jason Lewis tours Biothera in Eagan. 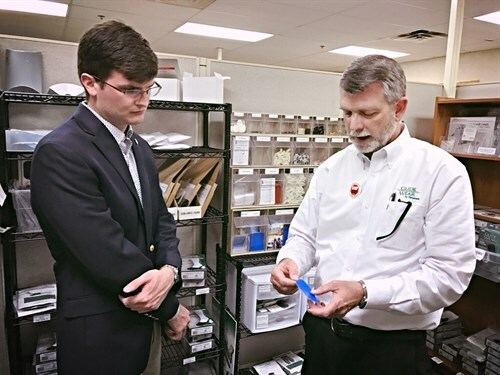 State Representative Nolan West tours Tamarack HTI in Blaine. 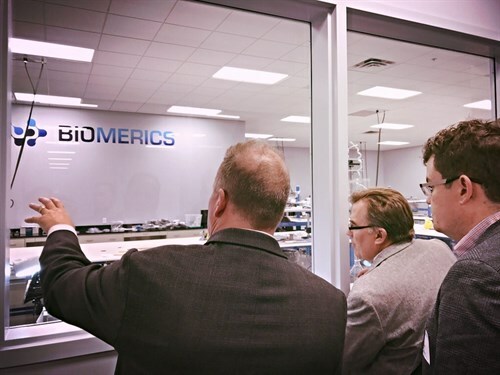 State Senator John Hoffman tours Biomerics in Brooklyn Park.